Parking.com offers convenient parking near the Port of San Francisco. Click on a location name to find parking information including rates, hours of operations, payment types accepted, and entrance locations. The Port of San Francisco lies on the western edge of the San Francisco Bay near the Golden Gate. This thriving scenic port is a destination itself with a variety of businesses, restaurants and picture perfect vistas. 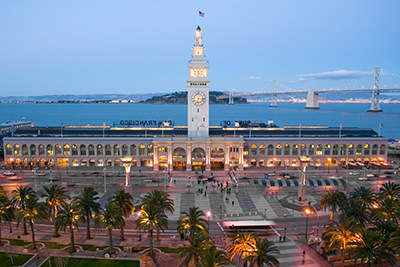 Near by attractions include Fisherman's Wharf, Pier 39, the Exploratorium, the James R. Herman Cruise Terminal, the Marine Mammal Center, the Ferry Building and AT&T Park.